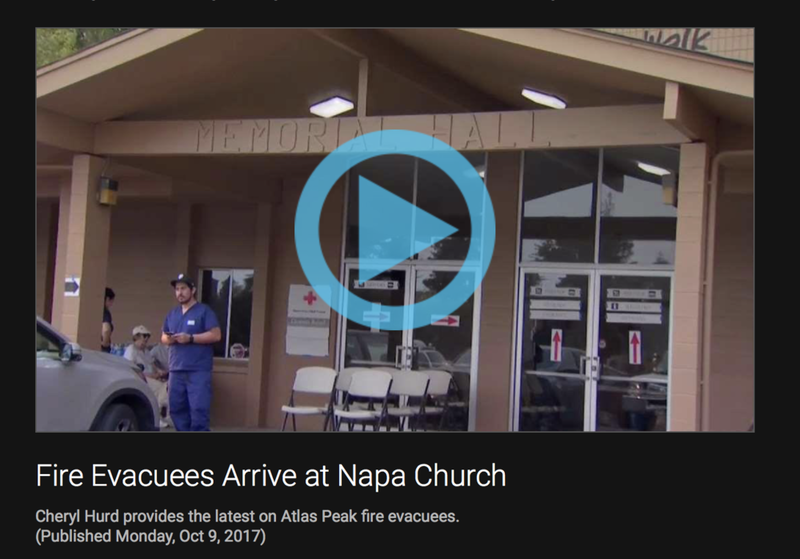 In October 2017, Napa was hit with some of the worst fires it has ever seen. Known as the Northern California Firestorm, this 245,000 acre mix of 250 fires across Northern California forced thousands of Napa Valley residents to flee their homes. Most Napa residents were specifically affected by the Atlas, Partrick, Norrbom, and Nuns fires. Within hours of the fire spreadinng, the Red Cross came into to action to provide relief to fire victims and those who had to abandon their houses for safety. Needing a place to set-up camp, the Red Cross reached out to CrossWalk to use our facilities to help people. As we did in the 2014 Napa earthquake, CrossWalk opened up our campus to house, feed, and comfort those affected by the fires. As soon as CrossWalk's doors were announced open, dozens of Red Cross volunteers and dozens of CrossWalkers came to the church to welcome those who were in need. We received thousands of water bottle donations and hundreds of bags of donated food all from the residents of Napa and the surrounding cities. 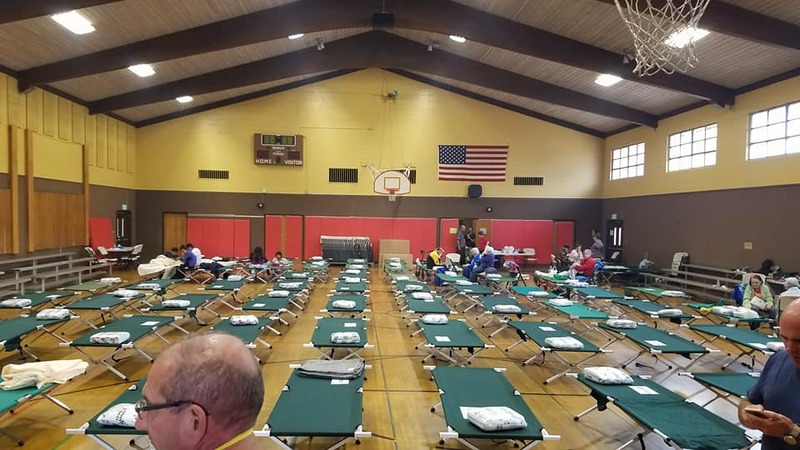 We're very thankful for all the help the Red Cross, Napa residents, and CrossWalkers put in to make sure our campus was ready and fit to serve the Napa community. We're also very thankful to the firefighters who risked their lives to save the homes in our community. If you're interested in reading more about the Napa fires and CrossWalk's involvement, feel free to click on the resources below.